Today, we are going to talk about Gravity Forms, which is one of the standout plugins in form generation. It has already been used over half a million WordPress websites. Most of the online resources will state Gravity Forms as a contact form and lead generation plugin. But I can guarantee you that Gravity Forms is lot more than just simple form creation plugin. Let’s get started on exploring the wide range of features of this amazing plugin and its important for us as developers and site owners. Gravity Forms provides one of the simplest and cleanest interfaces for generating dynamic forms and managing the form data. Form creation acts as the core functionality of Gravity Forms while other features are built around the form creation to add more power. Let’s look at the top features of Gravity Forms in detail. 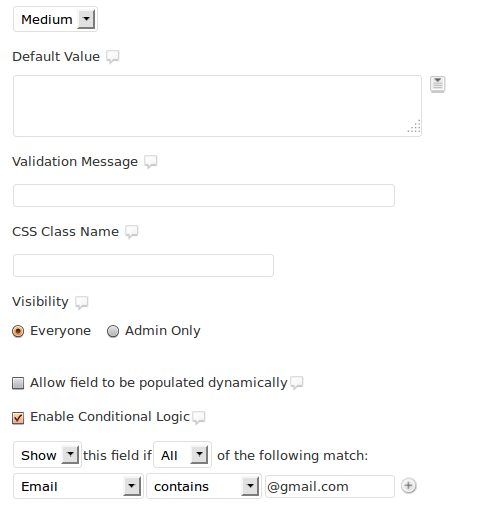 Usually, we use few text fields and textareas to generate simple contact forms with manual validation. The Form builder of this plugin provides extensive list of fields categorized into four different sections called Standard, Advanced, Post and Pricing. Standard – provides all the basic fields such as textboxes, dropdowns, paragraphs, checkboxes required for simple form creation. 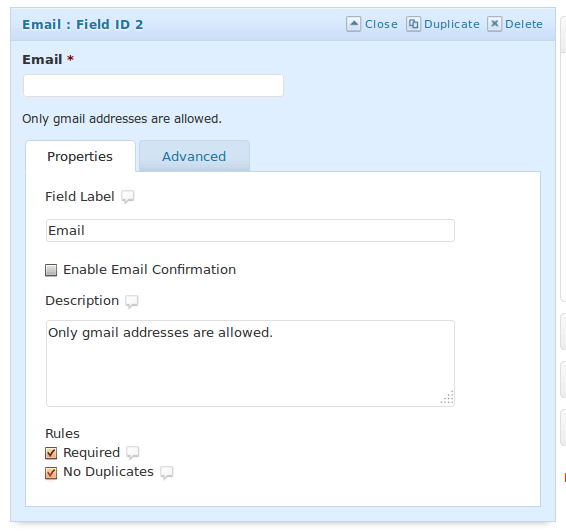 Advanced – provides commonly used form fields such as name, date, phone, email with built-in validations. 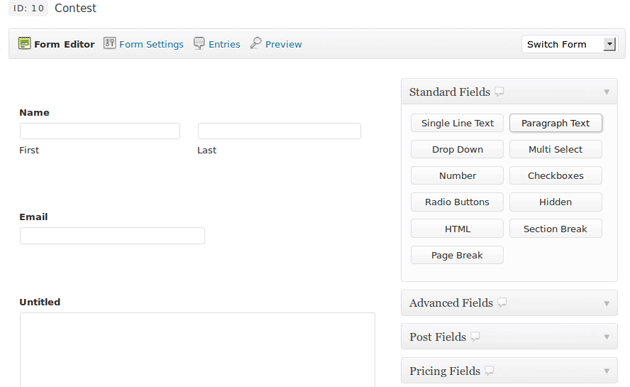 Post – provides WordPress blog post related fields for generating post data related forms. This is an excellent feature for allowing guest post submission or frontend content submission. Pricing – provides fields for creating order forms. We are allowed to create dynamic forms by combining these fields from different sections. Most plugins comes in with an interface, where you need to enter numeric values to provide ordering of values. Gravity Forms make it easy by allowing the form fields to be ordered with simple drag and drops. You are allowed to edit the configurations and the validation of each and every form field through its own interface.You can choose to go with existing validation rules or define your own rules when necessary. This is one of the most promising and unique features of this plugin. This feature allows you to display or hide certain elements of your forms, based on the values specified for other form fields. Also you can choose to block and allow the process dynamically based on the user input. This is one of the most crucial features in any plugin as we need to back up all the data regularly. We are allowed to export both form entries as well as form fields as xml files. Also it provides the ability to easily import the data by uploading the generated xml files. Each form contains a separate tab for managing the entries submitted through the form. Built-in filters such as mark as read, mark as unread, add start, remove star can be effectively used to mark the data for filtering. This is the modern way of handling extensive forms. Generally, users are much more comfortable in filling forms section by section instead of going through long forms. Gravity Forms allows you to easily break your form into multiple steps using its page break element in the standard fields section. 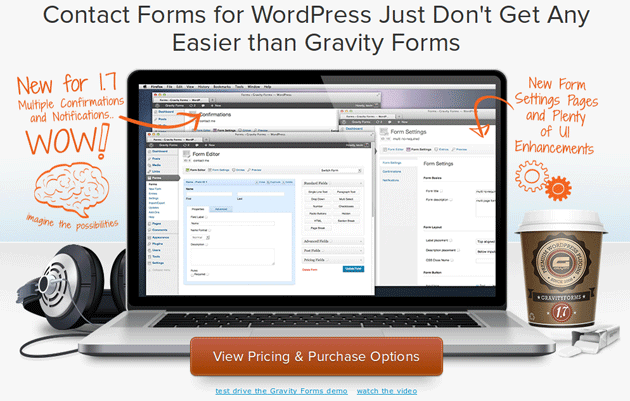 Gravity Forms comes up with a sidebar widget for enabling forms on the website sidebar. You can select the necessary form from the list of forms to be displayed in the sidebar. Gravity Forms can be used in various different ways beyond the default form creation functionality. Most of the guides or articles will illustrate the usage of Gravity Forms as a contact form generation plugin. Today, I would like to take a slightly different approach by building an online contest with this awesome plugin while demonstrating the top features. Assume that we have a contest in our website where we provide free Gravity Forms plugin for 3 users, who provides best feedback about the Gravity Forms plugin. User should be able to provide single feedback from any given email address. Only Gmail addresses will be allowed. Also we are going to close the contest once we reach 20 participants. Let’s get started. Basically, we need the name of the user, email and the feedback about the plugin. So create a new form called online contest. Open the Advanced Fields section and click on name and email buttons to generate two fields. 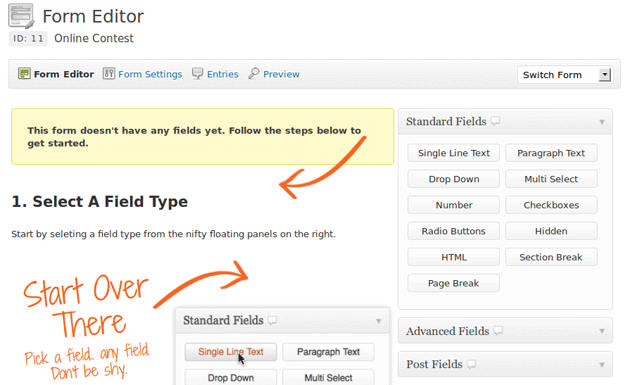 Then select the Standard Fields section and add paragraph text field. 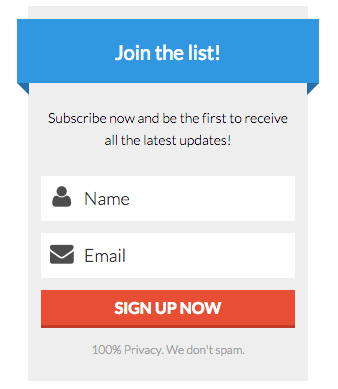 Now your form should like something similar to the following screen. In this scenario we need validation for all 3 fields in this form. Click on the edit link and tick the required checkbox for name field. Use the Advanced tab to define the validation message and necessary CSS classes. Next, click on the edit link of email field and mark it as required and no duplicates. No duplicates will prevent multiple entries from the same email. Then we need to make sure that we allow Gmail addresses only. This is where the power of conditional logic comes in. We are going to hide the feedback textarea when the email field doesn’t contain a Gmail address. Edit the email field and add a description as only Gmail addresses are allowed. Then go to the edit section of feedback field and enable conditional logic. Select email from the dropdown, select contains logic and define the value as @gmail.com. Now save the form. 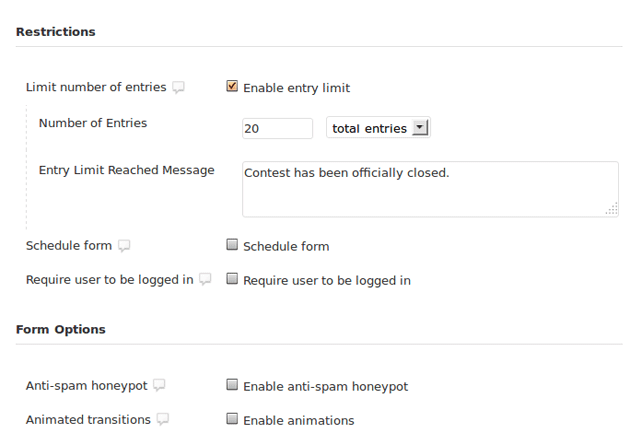 Before publishing the form, we need to make sure that we limit the contest to certain number of users. Go to the Form Settings section and you will find lots of built-in configuration options. 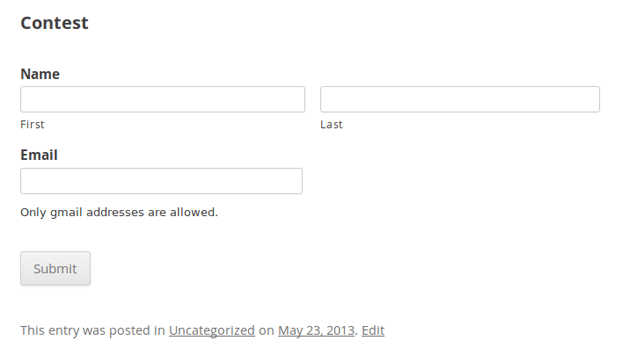 enable the entry limit under Restrictions section. Specify the number of entries and limit reached message. Now update the form and get ready for publishing. Now we need to create a page or post to display the form to the users. Create a new page and you will find a Add Form button next to the Add Media button on page creation screen. Click Add Form button and select the form generated for our contest. Then click insert button to insert the shortcode into the page editor as shown in the following screen. 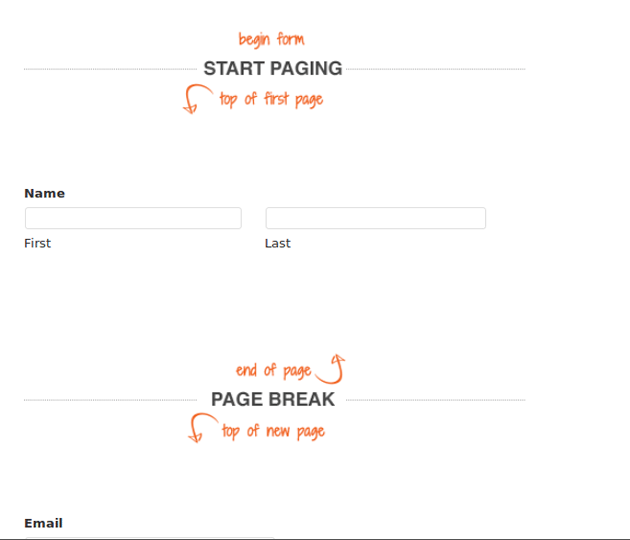 Once the page is published, you will get a form similar to the following screen. You can clearly see that feedback field is not visible by default. Once you enter a Gmail address, feedback textarea will show up on the screen. Then use a non Gmail address to see the hidden effect of feedback textarea upon validation. This demonstrates the process of conditional logic. Users feedback will be stored in the database. You can view all the entries through the Entries section in the form.Finally, you can select the winners from the entries by writing some custom codes on Gravity Forms tables. This scenario illustrates the power of this amazing plugin in building dynamic forms to generate leads. You can use these in-built features and functions in hundreds of other different ways to match your requirements. Plugins can be considered as the heart of WordPress while Add-ons can be considered as the heart of Gravity Forms. Available list of Add-ons makes it easy for you to integrate third party services and work with additional features. The Add-ons provided with the plugin varies based on the pricing package. Top Add-ons such as Quiz, PayPal, FreshBooks, Polls, User Registration will be only available with the developer license. All the available Add-ons and their usage is available in the Add-ons section. Let’s take a look at the top Add-ons and their usage. This add-on provides a quick way of building simple quizzes and grading your users based on given criteria’s. Useful add-on, for improving the interaction between users and your website to generate more traffic. Usually, we are used to registering through the front-end of an application rather than a back-end interface like WordPress. The Registration add-on offers the flexibility of adding registration to your frontend with additional data about the user. This add-on is ideal with the combination of PayPal add-on for creating membership sites. We all know the importance of polls for getting user feedback. Gravity Forms polls add-on provides a flexible way of creating simple polls with both public and private results. This is another cool add-on for creating payments through PayPal. Number of facilities such as product purchases, donations and recurring payments are provided with this add-on. PayPal Standard add-on can be effectively used for creating membership sites or selling products online. Apart from the mentioned addons, there are around 10 more in the official Gravity Forms site. Also there are few more open source Add-ons in the WordPress plugin directory. 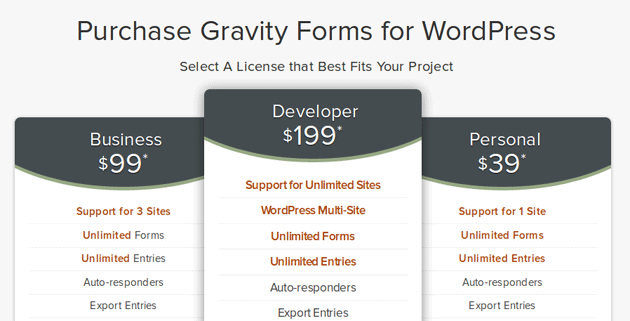 Gravity Forms plugin is priced in three different packages called Personal, Business and Developer. Basically, both Personal and Business packages contain similar features with the exception of number of sites supported and basic Add-ons. Personal package is priced $39, while Business package is offered for $99. The Developer package is priced at a higher rate of $199 per license and offers you additional benefits such as multi site support, advanced form Add-ons, help forums and priority support. Personal and Business packages will cater your needs in most scenarios, unless you are building a complex application with WordPress. It’s important to keep in mind that all the licenses expires after one year. So you need to keep your license updated to keep using the plugin with latest updates and support. Gravity Forms offers a documentation on how to effectively use this plugin. This documentation is very well structured into sections such as usage, design, troubleshooting and Add-ons. Inclusion of developer documentation makes it super simple to extend the plugin with your own requirements. Personally, I feel that the documentation needs to be improved to offer detailed explanations about using a certain feature with all the necessary steps. Apart from the main documentation, you can also find additional sections for FAQ’s and support. 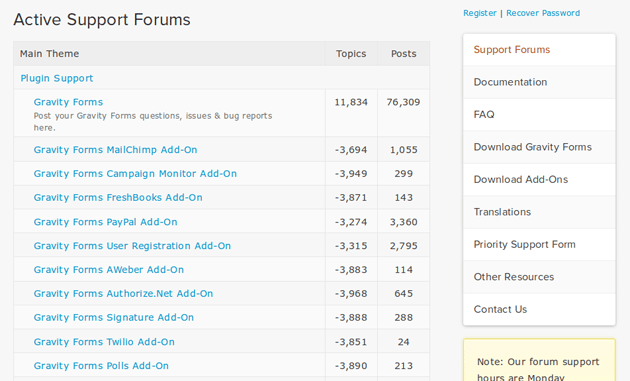 Personally, I like the way that support forum is organized into queries, separating the main plugin and the Add-ons. In order to access the support forum, you need to be registered with a Gravity Forms license. Priority support is also provided for users who have a developers license key. You will receive several added benefits such as automatic upgrades, online support forums and priority email support with this feature. Gravity Forms seem to be the plugin of choice for most developers in building dynamic forms and generating leads. It’s capable of competing with all the existing form plugins with its features and support. Now the question is should you buy it? The answer certainly depends on your website and your requirements. If you are creating a non profitable personal blog or website, I would say you can go with free form plugins such as Contact Form 7 or Visual Form Builder, just for the sake of price. Whenever you are building professional and profitable websites, don’t hesitate to purchase this plugin, as it will definitely offer more than what it costs. I have been truly amazed by the flexibility and features it provides in collecting most important leads for our websites. So I hope you will give it a try. Looking forward to hear your suggestions about this plugin in the comments section. Your Gravity Forms links deliver blank pages… thought you’d like to know. Which ones David, they appear to be working for me. Personally I also like the possibility that visitors can create blog posts/ fill in custom post type’s like testimonials. Thanks for the comment. Indeed it’s big plus in creating front end form submissions for minor functionality for the users. Most of the free plugins won’t provide such features. Great feature indeed, CRED is even more specialised for this purpose. But why buy a second premium plugin for something the first one can do as well? For CRED you mean? It’s just an alternative. I use the Toolset suite (of which CRED is a part of) all the time and find it pretty amazing. 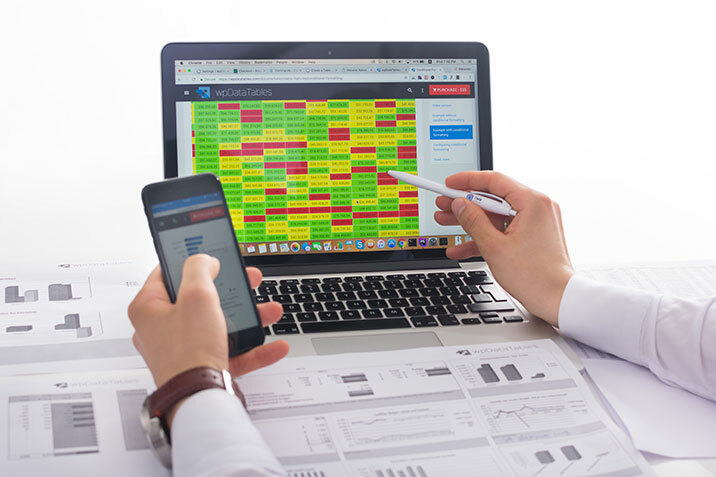 Dynamic charting has tremendous potential for creating user-friendly apps that return good visual information for little effort. Thanks for posting this. It looks like a great review. You should look at some of the third party add-ons created. There are so many amazing ones out there that continue to extend Gravity Forms in amazing ways. Gravity forms add-ons is a great way to enhance the existing features. Here, I have mentioned about few add-ons. Is there any popular add-ons I have misses in the article? Gravity Forms seems like a great little intuitive plugin, easy to use drag and drop features etc via admin, could be good for some of our less tech savvy clients. Absolutely. These kinds of plugins saves time as developers and it’s simple enough for less technical clients. Have you used Gravity Forms in your projects? Previous Entry: What Kind of Plugins are Missing from the WordPress Plugin Marketplace?